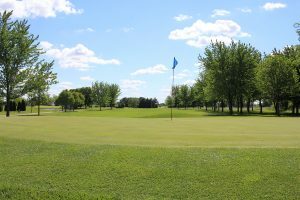 Open in July 1998, this par 70 course exhibits excellent golfing conditions. 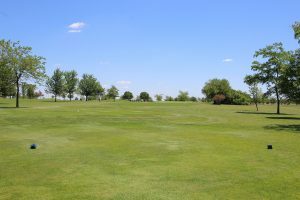 Par 4, dog leg left with trees on the left, small trees, practice driving range and fairway bunker on right. Elevated green protected by sand on front right. 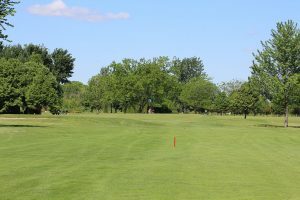 Par 3, straight with trees on right near green. 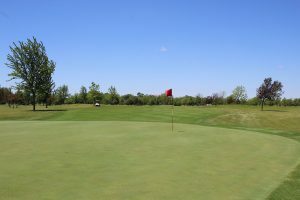 Elevated green protected by sand front, right and left. 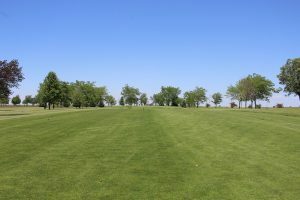 Par 4, straight with trees on right and farm field on left. Elevated green protected by sand on right. 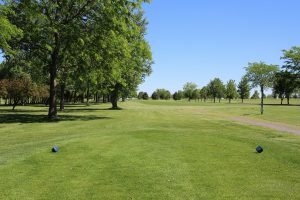 Par 4, straight with small trees right and left. Elevated green protected by sand on front right. 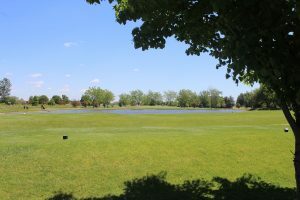 Par 4, straight with fairway bunkers on the right and water in play on the left near the green. Green is protected by sand on front right and left. 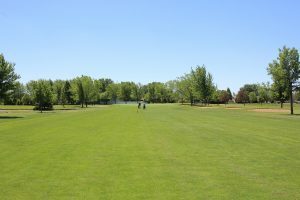 Par 4, straight with trees on right and local road on left. Elevated green protected by sand on right. 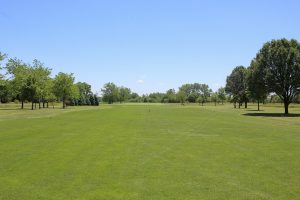 Par 4, straight with small trees right and left. Elevated green protected by sand on left, front and right. 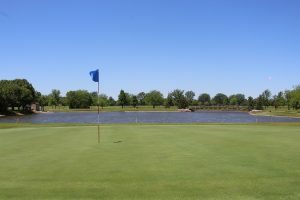 Par 3, straight with water between tee and green. Green is protected by sand on right and left. 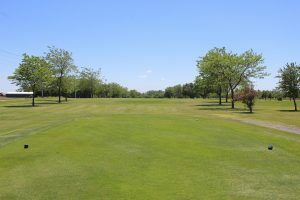 Par 4, straight with water in play on right and trees on left. 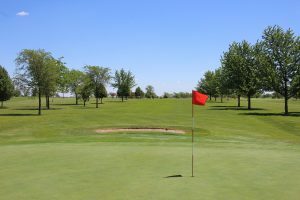 Green is protected by sand right and left. 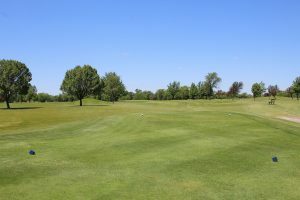 Par 4, straight with water in play on left, fairway bunker on right and trees on right and left. Elevated green protected by sand on front right. 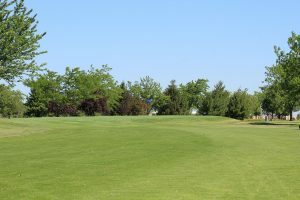 Par 4, straight, small trees and on right and left and fairway bunker on right. Elevated green protected by sand left and right. 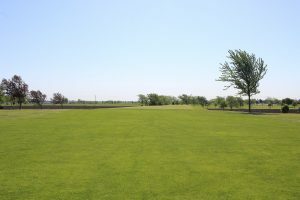 Par 4, elevated tee, straight with trees and fairway bunker on left and farm field on right. 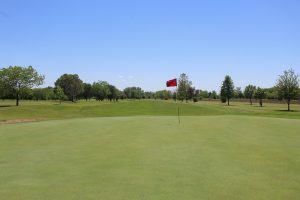 Elevated green protected by sand front right and left. 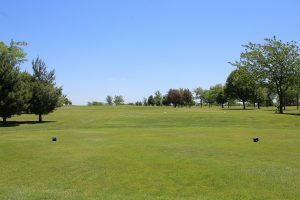 Par 4, straight with small trees right and left. Elevated green protected by sand on right and left. 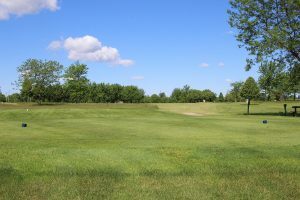 Par 4, dog leg left with trees on right and left and farm field on right. 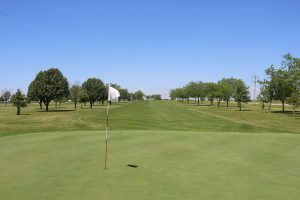 Elevated green protected by sand right and left. 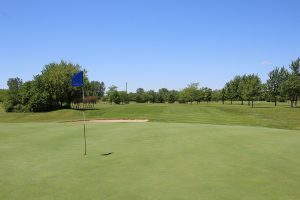 Par 3, straight with water between tee and green. Elevated green protected by sand on left. 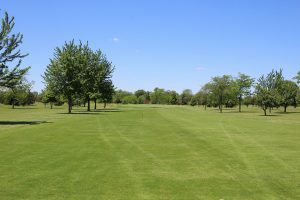 Par 4, straight with trees on right and left. 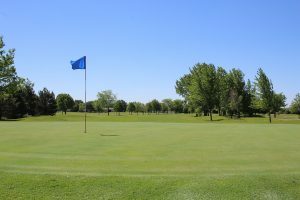 Elevated green protected by sand on left with water behind. 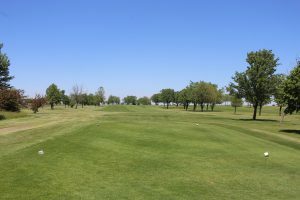 Par 5, dog leg right with trees right and left as well as farm field on right. 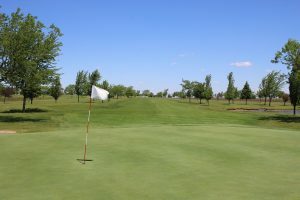 Elevated green is protected by sand front right and left. 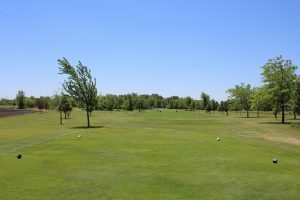 Par 4, dog leg right with trees on right and left and water in play just before green. Elevated green protected by sand on front right.